Imagine that you don't have to cook... You only give a thought to special kind of meal and there it is! But back to reality. That mean: Food is important part of our life. 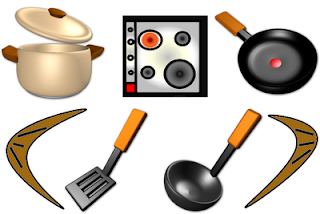 On that ground I dedicate an icon set to cooking utensils.